Just for fun. 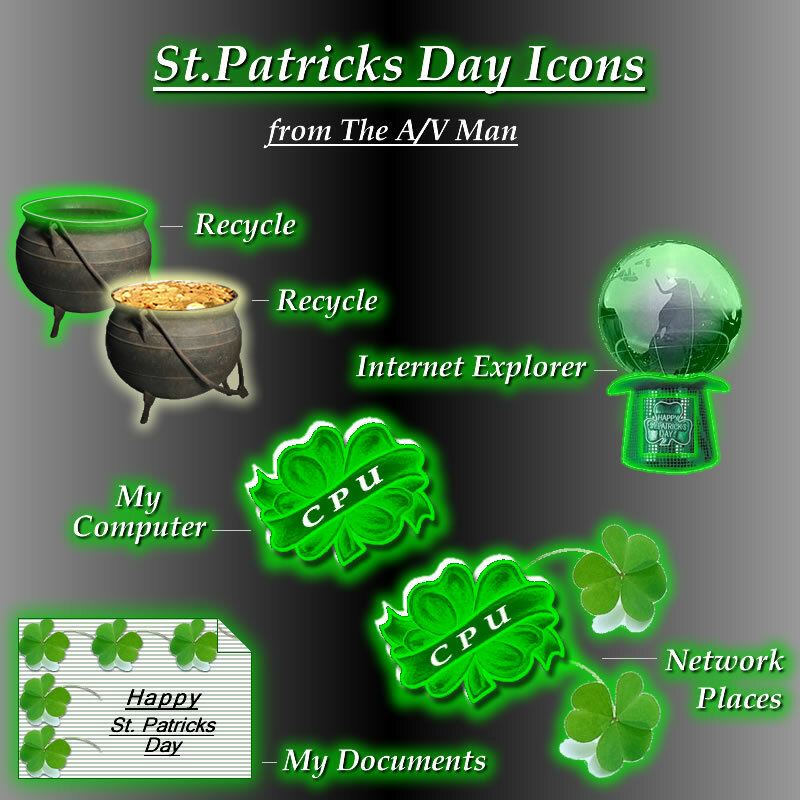 Happy St. Patricks Day from the 1/2 Irish A/V Man! From one half Irishman to another, great job! A very good entry here. Thank you ,Asect I appreciate it very much! Have a great St. Patties Day! May the luck O' the Irish be with you my friend. 1/2 here be too. Us Irishmen must stick together. Top o' the morn'in to ya. Now where be me pint? Very good looking icons. Good "luck"! Might be the reason I lost me pot a gold! By the way I like your work youu always do an fine job! Nice, I especially like the pot of gold! I like yours as well!!! Thanks Skinhit I appreciate it!